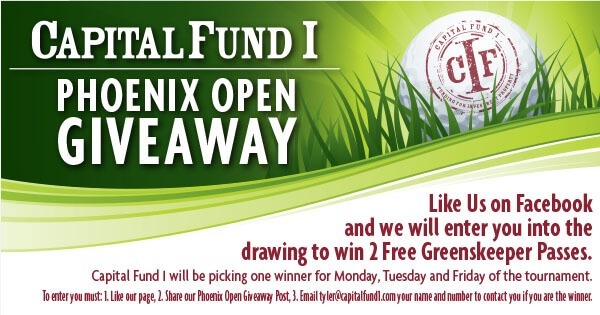 Two Greenskeeper Passes could be yours, if you enter the Capital Fund I Phoenix Open Giveaway. Two Greenskeeper Passes could be yours, (retail value of $1,000) if you enter the Capital Fund I Phoenix Open Giveaway. 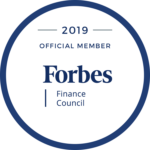 Capital Fund I is Arizona’s premier private lender for real estate investment funding. Like Us on Facebook and we will enter you into the drawing to win 2 Free Greenskeeper Passes. Capital Fund I will be picking one winner for Monday, Tuesday and Friday of the tournament*. *Capital Fund I asks that you act responsibly and don’t drink and drive. Capital Fund I is not responsible for any other fees associated with the Phoenix Open.